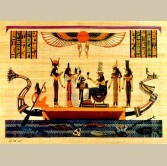 Papyrus was first manufactured in Egypt as far back as the third millennium BC. 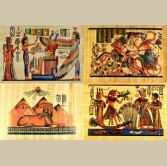 Sheets of parchment were folded to form quires from which large book form sheets were formed. 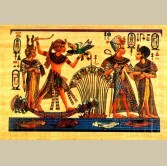 Papyrus plants only grow on the sides of Egypt's great Nile and was used for centuries to produce paper the same way it was manufactured by the Ancient Egyptians. 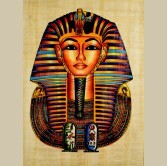 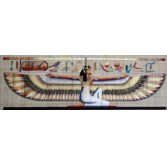 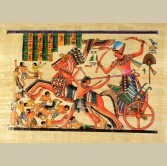 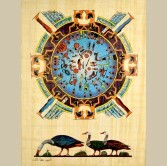 Our skilled artist then paints thousands of drawings that matches the drawing of Ancient Egyptian papyrus, some drawings from the walls of temples as well as the masks of famous Pharaohs of Ancient Egypt. 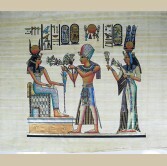 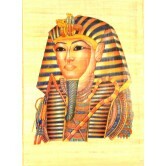 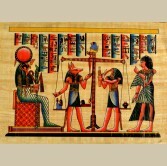 Hand Painted Egyptian Papyrus - 12" x 16" (30 x 40 cm) - The Offering This p.. 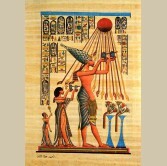 Relief of king Akhen-Aton and his wife Nefertiti praying to the sun-god Aton who provided his ray..
Set of 4 small papyrus. 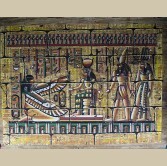 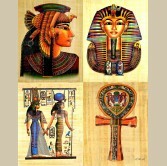 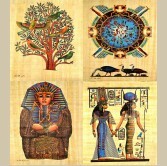 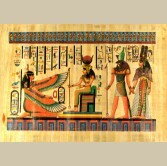 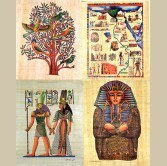 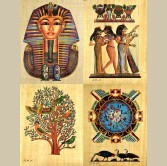 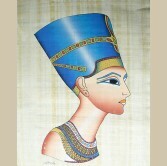 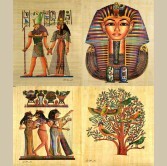 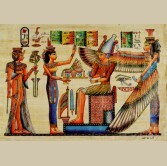 Size: 15cm x 20cm (5.9''x7.9'') ..
Egyptian Hand - Made Papyrus Painting Sizes: Small: 15 cm * 20 cm Medium: 20 cm * 30 ..
Hand Painted Egyptian Papyrus - 12" x 16" (30 x 40 cm) - The Queen Offering ..